A few years ago, C&S Propeller was not doing well. 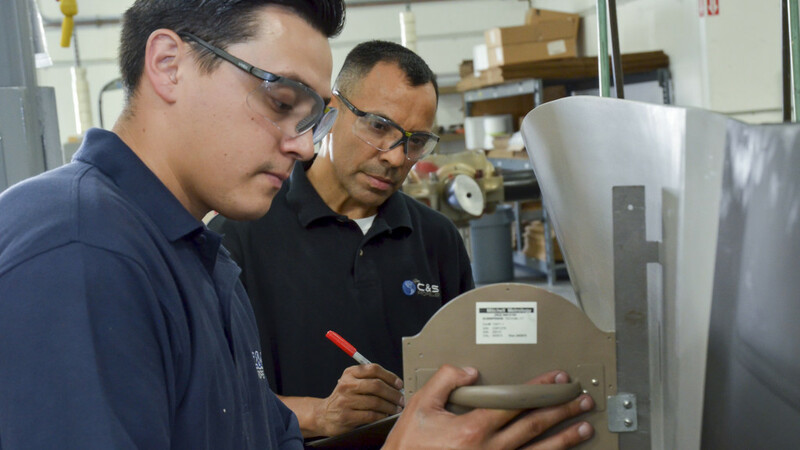 To shake things up, the parent company, Precision Aerospace Products LLC, hired Buddy Tobin to run C&S and moved the company from Covina, Calif., to Texas. The Lockheed Martin C-130 Hercules aircraft, and its civilian counterpart, the L-100, can safely be referred to as the most successful aircraft of their kind ever made. When speaking of the various missions and uses the planes have been put through, it’s almost easier to mention what they haven’t been used for over their long operational life. The C-130 was originally developed in the early 1950’s to answer the U.S. military’s need for an aircraft that could transport large loads of equipment and personnel and be capable of operating out of short, unimproved airfields. Its first flight was in 1954, and it almost immediately became the go-to workhorse of the military. It saw extensive use in Vietnam and every theater of war since then, most notably in Iraq and Afghanistan. It performed so well that just ten years later Lockheed Martin decided to produce a civilian version, the L-100, which first took to the skies in 1964. Sales of the aircraft were initially slower than hoped, so Lockheed redesigned the L-100 in 1967, stretching the airframe and significantly increasing the cargo capacity. They did the same in 1969 to produce the L-100-30 version, which has proved to be the most popular with the civilian market. Both the C-130 and the L-100 have earned a sterling reputation for safety, reliability, and versatility. They have been deployed for a variety of mission, both military and civilian. Some variants have even been equipped with skis for duty in the polar regions. In mid-2009 there were 36 L-100 aircraft in use by both military and civilian organizations around the world. In addition to most of the duties listed above as they can be applied to peacetime needs, the L-100 has been used primarily for air cargo and air charter services, and also by several airlines on regularly scheduled routes. It is also favored for transporting government personnel and other VIPs. 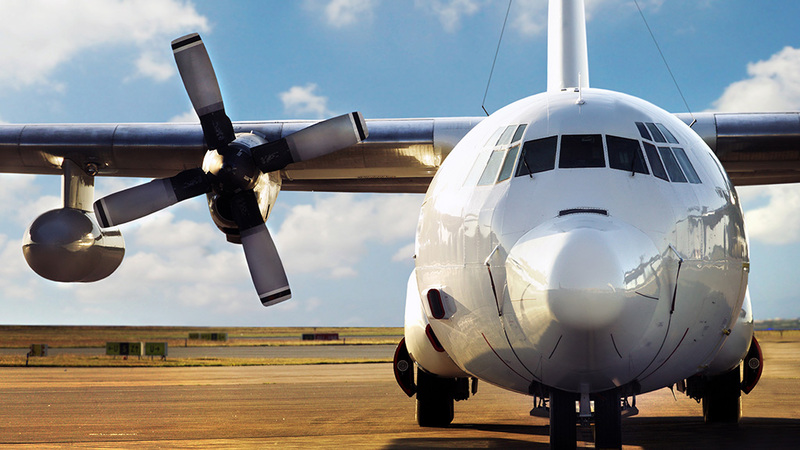 We have three current customers who use the C-130 Hercules of L-100 aircraft. 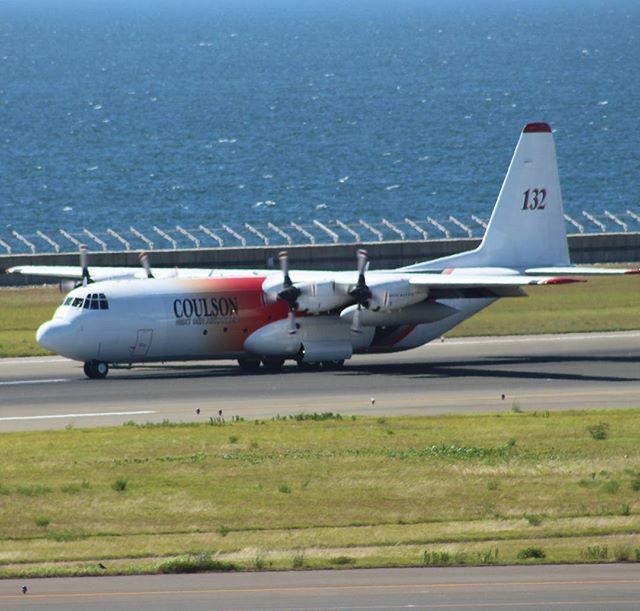 Coulson Aviation uses a fleet of C-130s to fight fires around the globe. 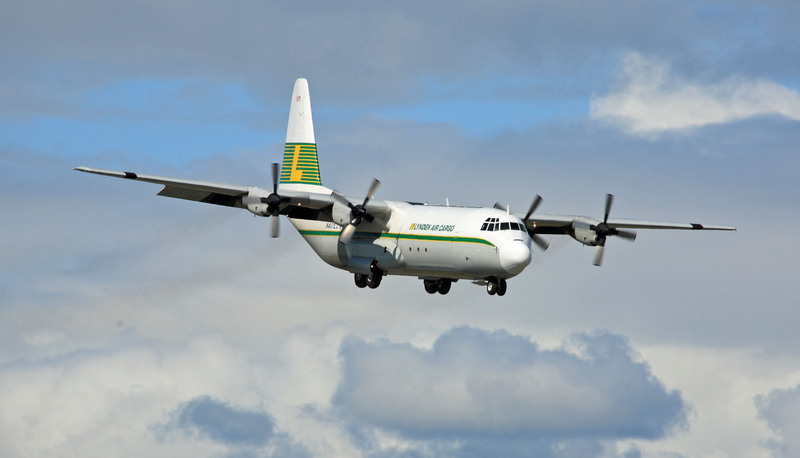 Lynden Air Cargo, another customer of C&S Propeller for maintenance, repair, and overhaul services of the 54H60 Propeller system, uses both the L-100 and C-130 Hercules for hauling freight. Lynden Air Cargo has the equipment, aircraft, and the expertise to move your cargo to remote locations throughout Alaska, Canada and destinations around the world. Powered by the superb #HamiltonStandard #54H60 four-bladed propeller system on the #L100, its performance is excellent, with a maximum takeoff weight of 155,000 lbs. and a payload of 51,000 lbs., it has a top speed of 355 mph and a cruise of 335, a service ceiling of 23,000 ft., and a rate of -climb of 1,830 fpm. It also boasts a range of 1,800 mi. Finally, another customer of ours, International Air Response, is a global provider of specialized aerial services. Founded in 1976, the company owns, maintains, and operates a large fleet of Lockheed C-130 Hercules aircraft. IAR provides safe, efficient, and effective emergency and non-emergency aerial services to a wide variety of government and private sector clients around the world. 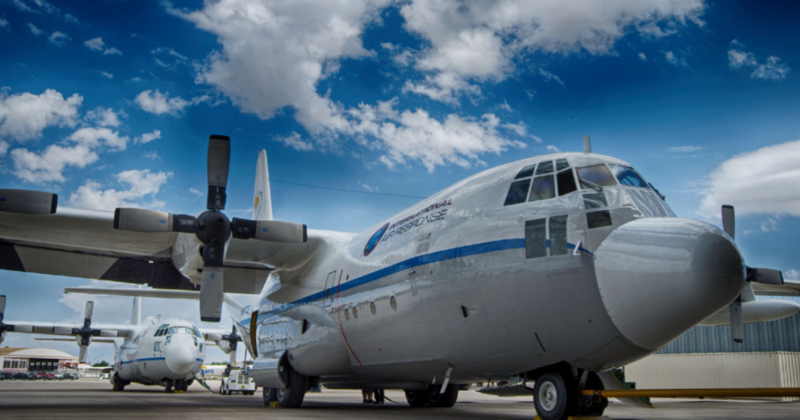 Both the C-130 and the L-100 appear to have many more years of service ahead of them with upgrades to their systems, especially modern avionics technology. The Lockheed C-130 family of aircraft has been in service for over six decades and has earned a reputation around the world as one of the greatest military aircraft ever produced. But its brother the L-100 aircraft, the civilian version of the mighty Hercules, has been flying almost as long and has gained a reputation for reliability, ruggedness, safety, and performance that is no less distinguished than the C-130. The L-100 aircraft was born on April 20th, 1964, when the first prototype took flight. It entered service in late 1965 when 25 of the aircraft were delivered to Continental Air Services. In response to slow initial sales, Lockheed responded with the L-100-20 and the L-100-30, both of which were longer, larger, and cheaper to operate than the original version. The L-100 was in production until 1992, with a total of 114 of them delivered to customers around the world. Due to its remarkable history of performance, in 2014 Lockheed formally announced the newest incarnation, the LM-100J. The L-100, like the C-130, is intended to be capable of carrying large payloads into short, unimproved airfields, although as a civilian model it, of course, has been used for a much wider range of missions than the military model. Powered by the superb Hamilton Standard 54H60 four-bladed propeller system on the L-100, its performance is excellent, with a maximum takeoff weight of 155,000 lbs. and a payload of 51,000 lbs., it has a top speed of 355 mph and a cruise of 335, a service ceiling of 23,000 ft., and a rate of -climb of 1,830 fpm. It also boasts a range of 1,800 mi. The L-100 aircraft is currently in civilian service in 16 countries around the globe, and with the militaries of the Philippines, Saudi Arabia, Algeria, Indonesia, Kuwait, and several smaller nations. Besides carrying cargo and transporting personnel, it has been used for a variety of purposes, including aerial spraying, fire fighting, oil, gas, and mining logistics, humanitarian and air ambulance services, search and rescue, weather research, Arctic exploration and supply, and more. The L-100’s versatility and performance have made it a staple in many industries. C&S Propeller is one of the primary providers of MRO services for the 54H60 propeller system used on the L-100 aircraft. On April 7th, 2015, the Lockheed Martin Corporation celebrated the 60th anniversary of one of its most long-lived and fruitful aircraft, the legendary C-130. It was on that date that the first production model was rolled out of their factory in Marietta, Georgia back in 1955, where the governor smashed a bottle of water from the Chattahoochee River across its nose to christen it. At the 2015 celebration, Governor Nathan Deal recreated that ceremony on a Super Hercules, while C-130 number 2,500 was coming to life on the assembly line inside the factory. The previous year, the historic aircraft reached another 60-year milestone. On August 23rd, 1954, the aircraft, then designated as the YC-130 took flight for the first time in Burbank, California. The Lockheed Company has been manufacturing the C-130 longer than two of its other major hits, the iconic B-52 bomber and the U-2 spy plane. The U.S Congress has had a long-standing love affair with the aircraft, providing generous funding for new planes and upgrades, even in the face of resistance from the Pentagon. One defense analyst has called it the ‘Energizer Bunny’ of the aerospace industry. It has been convincingly argued that the C-130 is the most successful aircraft in military history, certainly the oldest in continuous production. Those are some great looking #54H60 props humming on the Elephant March of these #C130Hercules. Keep your 54H60 props running this smooth by trusting C&S propeller for all your MRO prop needs. So what keeps this bunny ticking? The C-130 was conceived to meet the U.S. military’s need for a tactical transport capable of delivering a large payload of troops and equipment over medium distances, landing and taking off on short, unimproved airstrips. The fact that it has performed that role exceptionally well constitutes for its phenomenal success. However, that is not all. There are well over 100 variations of the C-130, performing almost every mission imaginable including firefighting, rescue operations, ocean patrol, oil and mining industry applications, humanitarian aid and more. U.S. Special Forces have used the AC-130 gunship version to significant effect, and there’s talk of outfitting it with a laser weapon. Moreover, Lockheed has seen an ever-growing demand for the civilian version, the L-100. The newest version, the C-130J Super Hercules, has brought a lot of new capabilities to the table, with advanced overhead displays, more powerful engines, improved defensive countermeasures, a greatly increased unrefueled maximum range, greater airspeed and the ability to takeoff on only about 60% of the runway distance required by earlier versions. In addition, the C130 has been made legendary for also retaining the basic design, its rugged reliability and relatively low-cost to operate and maintain. The C-130 also boasts one of the lowest accident rates of any aircraft in the U.S. arsenal. It has truly proven itself capable of doing almost anything short of dogfighting. The C-130 is currently in use in more than 70 countries around the world. It has fought in Vietnam, Iraq, Afghanistan and many other small conflicts and police actions. It has flown to both the North and South poles, and seen service just about everywhere in between. It seems poised to remain the go-to workhorse aircraft of its type well into this young century. Today we talk about the nicknames for the C-130 Hercules. Humans have always given affectionate nicknames to the things they love and mocking nicknames to those they do not. Ships, horses, dogs, and mothers-in-law often acquire monikers other than their given names, Old Ironsides and ‘old battleaxe’ for instance, and in the military, weapons, tanks, sergeants, and generals all earn titles or callsigns describing an individual trait or quirk. In civilian life, cars, trucks, bulldozers, drinking buddies, cities, and neighborhoods – just about anything can acquire a nickname. Moreover, aircraft are no exception. There’s the Fairchild A-10 Thunderbolt, better known as the Warthog for its distinctive, and many say ugly, design, the Lockheed U-2 spy plane, sometimes called the Useless Deuce, the Grumman F-14 Tomcat, also referred to as the Turkey, and the McDonnell Douglas F-15 Strike Eagle, which somehow gained the nickname of Tennis Court. However, few aircraft have been called by as many humorous names by the men and women who have flown and served on them than the much beloved and honored workhorse, the Lockheed C-130 Hercules Aircraft. Here’s a look at a few of the most popular ones. The popular C-130 Hercules is used by many military and air forces around the world. With the military especially, we’ve grown accustom to intresting nicknames of the tools the military uses. Here’s a look at a few of the most popular ones. Bleed Air Blimp– Bleed air is highly compressed air produced by the compressor section of gas-turbine engines, a certain amount of which can be bled off and used for many other purposes on an aircraft. Some of these uses include engine cooling, cabin pressurization, starting other engines, air conditioning, anti-icing systems, hydraulic fluid reservoir pressurization, and more. Since most of this aircraft is powered or assisted by air bleeding from other sources and the blimp part of this common C-130 nickname is derived from the bulbous, inflated-looking profile of the aircraft, Bleed Air Blimp makes perfect sense. The Herk or Herc– The most-used moniker for the C-130 Hercules, obviously just a shortened version of Hercules, is Herc or Herk. Though this nickname is usually, not always, spelled with a ‘c’ it is sometimes seen with a ‘k’ for some reason, and truly no one seems to know why. The use of ‘k’ is seen in Wikipedia and other forums, but typically you’ll see this nickname as ‘Herc.’ Many veterans and military historians trace the origin of the nickname “Herc” back to the Vietnam War. However, there’s some evidence to indicate it was in usage as far back as 1950, when the plane was first introduced, or even earlier, during the design and testing stage at Lockheed, which would make sense since it’s such an obvious nickname. 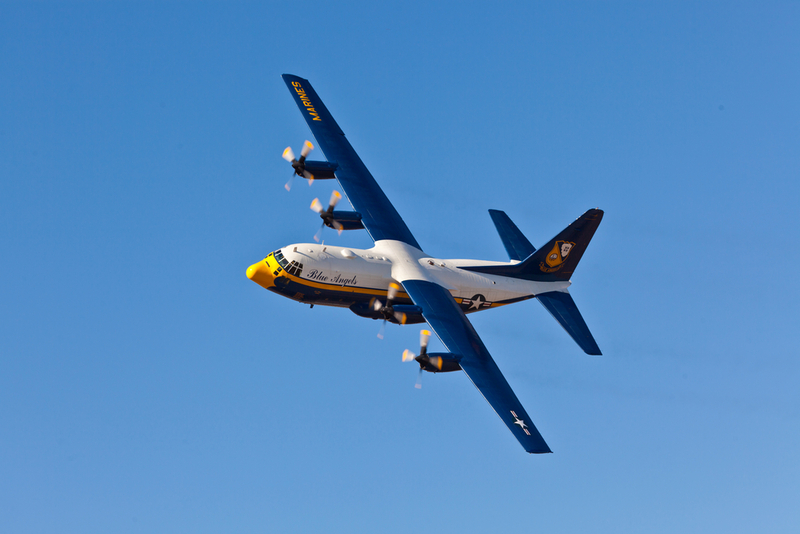 Fat Albert– This is a nickname used exclusively by the U.S. Navy’s elite aerobatic demonstration team, the Blue Angels. As an interesting aside, the squadron’s iconic name originated in New York City in 1946, when one of the original members saw a New Yorker magazine article about the popular Blue Angel nightclub, and the team adopted it as their nickname. Their C-130, often called just Bert for short, it is used mostly for logistics duties such as carrying equipment and spare parts as well as ferrying support personnel between airshows. It also performs flyovers, and starting in 1975 it was used to demonstrate the impressive JATO (Jet Assisted Take Off) system to awe airshow audiences, but this was unfortunately discontinued in 2009 due to a shortage of the necessary rockets, Vietnam-era EF-84Gs. There have been two C-130 Hercules used in succession by the Blue Angels since 1992, the first one a TC-130G, and the second a C-130T. Although Fat Albert flies to support a Navy unit, it is a U.S. Marine Corp bird and is operated exclusively by Marine personnel. Responsible for the maintenance of a C-130 Hercules Aircraft? 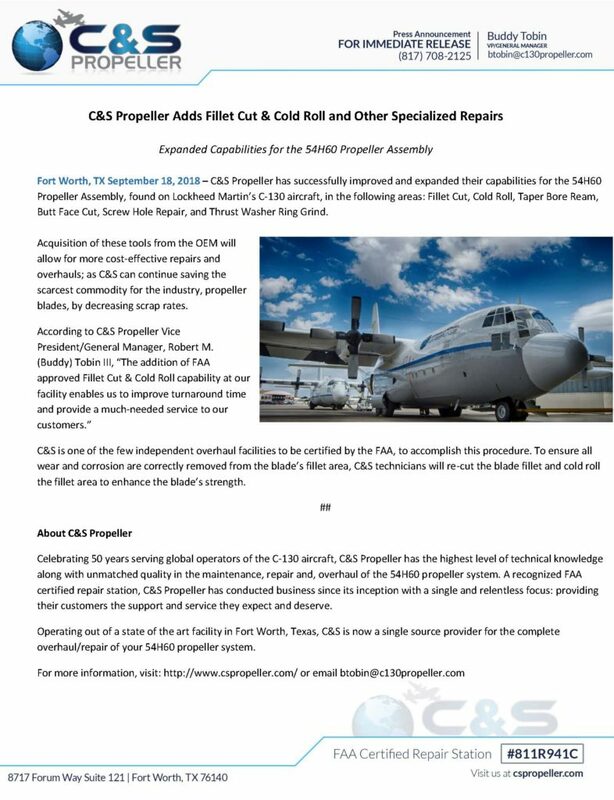 C&S Propeller is your partner to maintain the 54H60 Propeller System. Contact us today for information on our services. What Air Force’s Around the World Use the C-130 Hercules Aircraft? 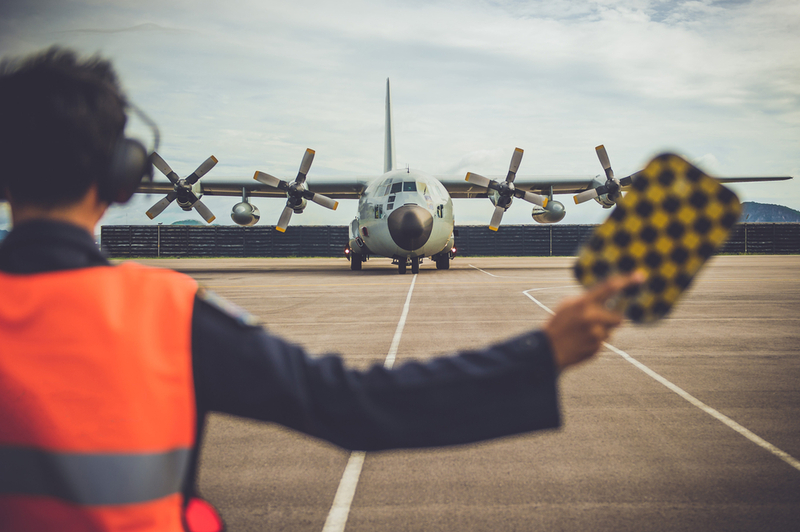 Designed originally for transporting troops and equipment to war zones, the C-130 Hercules aircraft has been used for civilian and military applications around the globe. Of course, some of its most notable uses stem from its role in U.S. military might since its inception. However, the versatility, fuel efficiency, and advanced technology have made the “Herc” an ideal choice for foreign Air Forces on nearly every continent, including the following. Canada operates 17 C-130 aircraft, and Mexico has a total of 11 C-130s, including two C-130J models. Honduras also uses the C-130, but exact aircraft numbers remain unknown. 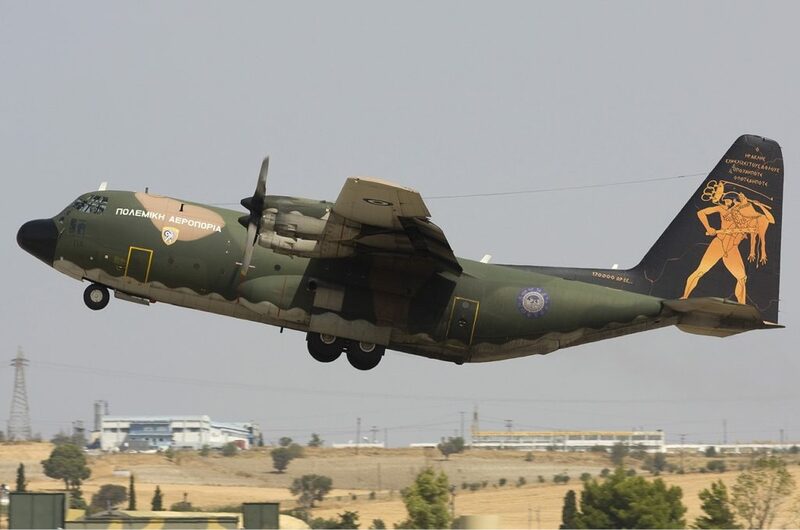 The Algerian Air Force maintains 19 transports via the C-130. Botswana, Cameroon, Ethiopia, Gabon, Niger, Sudan, Tunisia and Zambia use the C-130 for Air Force operations, but an exact number of aircraft in use is unknown. In Cairo West Airport, the Egyptian Air Force operates three C-130s. Libya currently uses four C-130s. The Royal Moroccan Air Force operates C-130 transports out of Rabat. South Africa’s Air Force 28th Squadron uses the C-130 at AFB Waterkloof, Pretoria. Bangladesh has four C-130Bs based out of BAF Base Bashar in Dhaka Cantonment. The Republic of China Air Force has 19 C-130H models and one C-130HE. India has a total of 12 C-130J aircraft, even though all C-130 operations only began in 2011. The Indonesia TNI-AU maintains 26 aircraft at Skadron Udara 17, 31 and 32. The Islamic Republic of Iran Air Force uses a C-130E and a C-130H in their operations. The 23rd Squadron in the Iraqi Air Force operates six C-130 aircraft, including six C-130J models. The Israel Air Force has two C-130E models at the 103rd and 131st Squadrons at Nevatim. The Japan Air Self-Defense Force and Japan Maritime Self-Defense Force operates 16 C-130 Aircraft. The Royal Jordanian Air Force operates seven C-130H models, and some of the Air Force’s older C-130B models have been converted to other configurations. 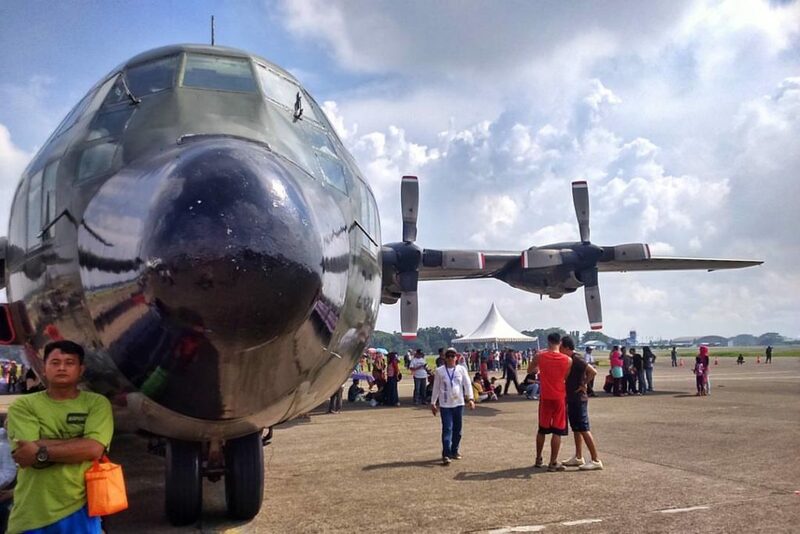 The Royal Malaysian Air Force and Pakistan Air Force and Philippine Air Force each maintain three C-130 aircraft. The Royal Air Force of Oman uses one C-130H at Seeb. Qatar Emiri Air Force currently has four C-130Js in use. The Royal Saudi Air Force has six C-130 aircraft in the 1st, 4th, 16th and 32nd Squadrons. The Republic of Singapore Air Force’s 122nd Squadron uses 10 C-130 aircraft. 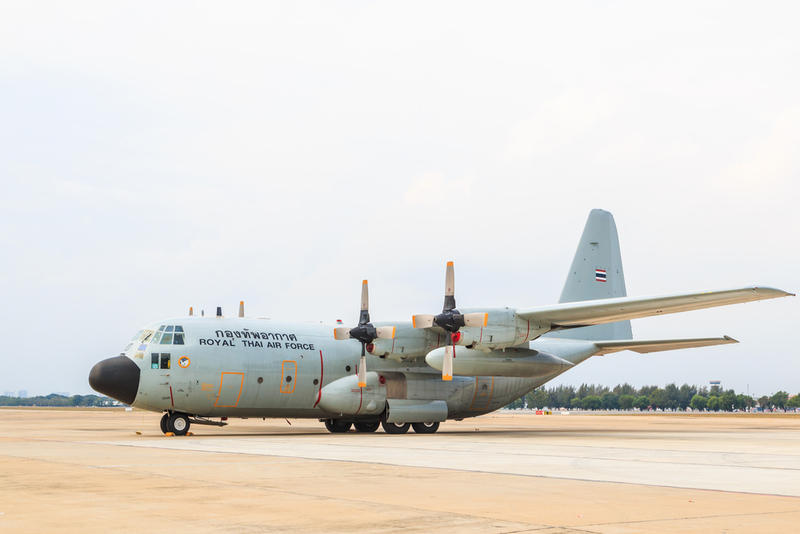 South Korea, Sri Lanka, and the Royal Thai Air Force operate one C-130. South Vietnam no longer uses the C-130, but in 1972, the country had up to 32 C-130As in operation. Both the United Arab Emirates and Yemen use the C-130 in Air Force operations. The Austrian Air Force and Portuguese Air Force each maintain one C-130. The 15th Wing of the Belgian Air Component operates 11 C-130H models. Bulgaria’s Air Force uses three C-130K, three C-130E and Three KC-130T aircraft. Denmark currently has four C-130J models at Aalborg. France operates the Franche-Comte, including two C-130H models at Orleans Bricy Air Base. Greece has 15 C-130 aircraft in use. Italy maintains 22 C-130J models. The Netherlands and Norway each operate four C-130 Hercules aircraft. The Polish Air Force uses 14 C-130 models in total. Romania has four C-130B models and one C-130H available for use. Spain has two C-130 aircraft at Zaragoza. Sweden operates three C-130 aircraft, and Turkey maintains 14 aircraft. The United Kingdom’s Royal Air Force uses the C-130 at Brize Norton and for Air Force meteorological research. Argentina’s 1st Air Brigade uses three C-130B, five C-130H and two KC0130H aircraft. Bolivia’s Air Force maintains a total of seven C-130 transports. 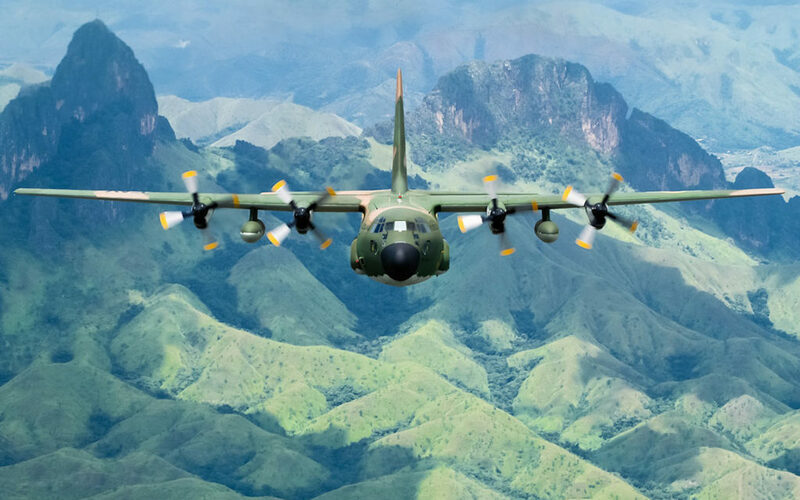 The Brazilian Air Force has 21 C-130Ms in use due to upgrades by the company, Derco. Chile uses three C-130 aircraft, and the Colombian Air Force uses one for Air Command for Military Transportation. Ecuador, Peru and Venezuela use the C-130 in Air Force operations, but a lack of records results in an unknown number of currently active aircraft. The Royal Australian Air Force and Country Fire Authority, part of Australia’s military, operate C-130s, but an exact number is unknown. 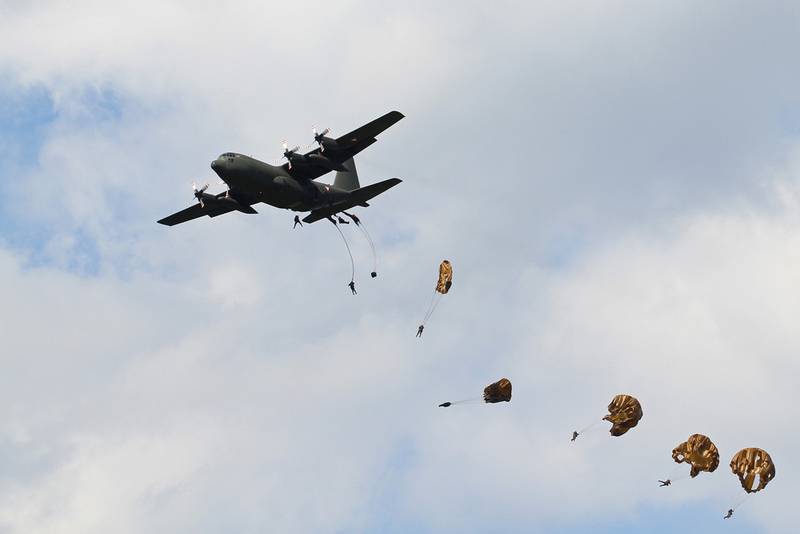 The 54H60 props help guide Humanitarian Aid pilots, using the C-130 Hercules, to store & drop cargo aid to areas in need. This is evident in this video from the Royal Australian Defence Force who dropped aid supplies to the Philippines. Many of our customers depend on C&S to make sure their props are in working order so that they may provide this much needed work around the word. The C-130 Hercules aircraft changed the world’s view on standard Air Force equipment, and while it has fallen into museums as the history of some countries’ Air Forces, it continues to be an integral part of modern Air Force capabilities. Only time will tell how truly expansive the use of future generations of the C-130 will become, but continued maintenance will take the C-130 deep into this century. The 54H60 prop system is comparable to the muscles in the human body. It enables flight for the masters of the skies, the C-130 and L-100 aircraft. The model designation and a brief explanation of how the 54H60 functions show how intricate and complex the 54H60 system truly is. 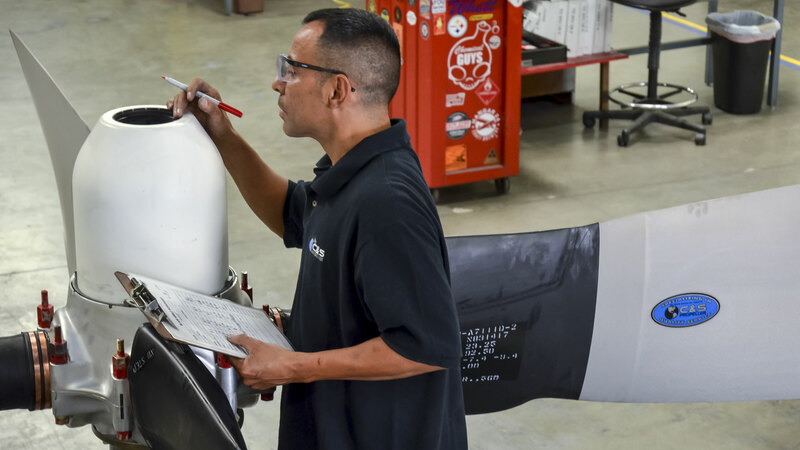 The characters identifying the 54H60 prop system identify specific designs and arrangements of the propeller’s assembly as part of the propeller model designation. Also, each 54H60 prop system model designation is followed by a dash and a number. This ending value refers to the number of minor modifications that have been made to the specific propeller. The first character refers to the number of major modifications made to the propeller system. The third character identifies the shank size of each blade. If this character is a letter, the blades are comprised of aluminum. Meanwhile, a number in the third character indicates steel blades are used. The last two characters before a dash, if present, indicate the spline size of the propeller shaft. So, let’s look at what the 54H60-91 model designation reveals about a particular C-130’s propeller system. The “5” explains the system has had five major modifications made. The “4” means the system uses four blades. The “H” shows us the blades are made of aluminum, reducing the overall weight of the propeller system. The numeral, “60,” indicates a spline size of 60 is used within the propeller system. Finally, “91” minor modifications have been made to the specific model designation. Understanding the designation of the 54H50 propeller system is only the tip of the iceberg, and the functions and capabilities of the system are designed to give the aircraft an immeasurable degree of uses, which accounts for popularity in both military and civilian uses. How the 54H60 Prop System Functions. 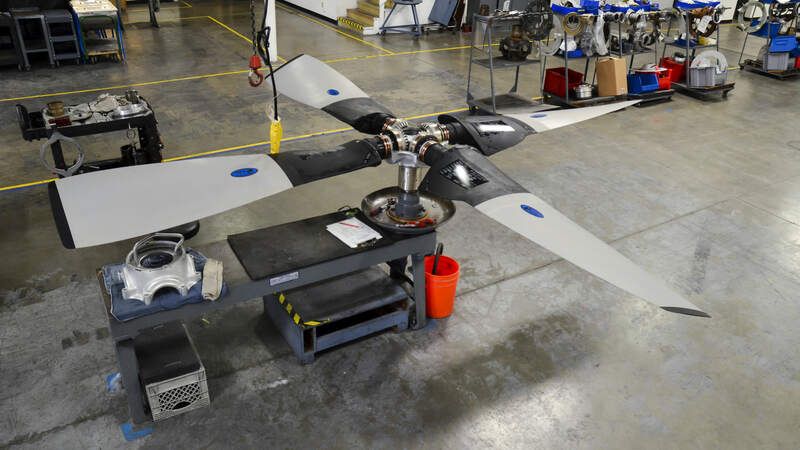 The 54H60 propeller assembly is a constant speed, fully feathering, hydro-mechanical propeller. During aircraft operation, the 54H60 prop system has two distinct ranges, beta (ground) and alpha (flight) ranges. These ranges are differentiated by what component is controlling blade angle. In the beta range, blade angle is controlled by the throttles from 0-34°, but in alpha range, the propeller governor is attempting to maintain a constant speed of 1020 RPM. Conversely, the alpha range is from 34-90°. 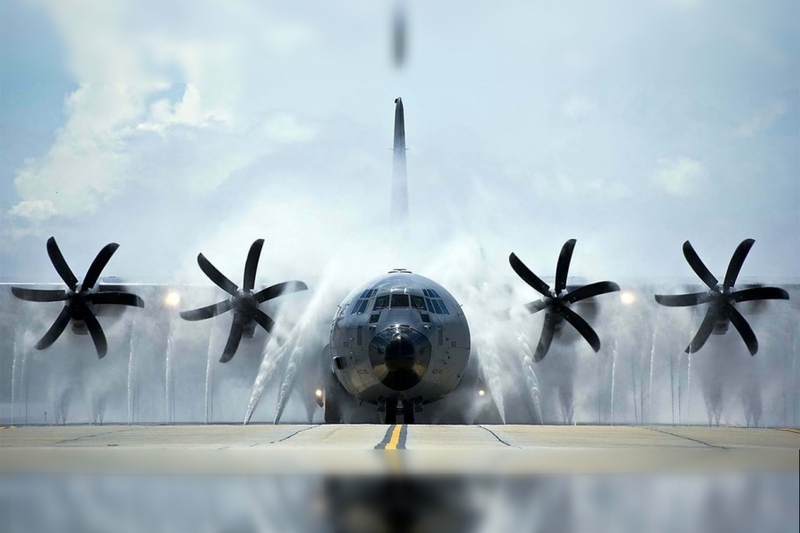 The governor’s ability to vary and control blade angle is vital to maintaining the speed and altitude of the C-130 aircraft during flight operations, and the dome of the propeller provides the hydro-mechanical means for adjusting blade angle. The change in blade angle affects the pitch of the propeller. Pitch refers to the distance traveled through the air with one revolution of the propeller. Pitch and blade angle are often used interchangeably. However, blade angle is a measurement as the blades are increased or decreased from the plane of rotation, and pitch is a measurement of distance traveled. When the governor senses an under-speed (less than 1020 RPM), blade angle must be reduced, allowing the propeller speed (RPM) to increase. The opposite is true when the propeller over-speeds. As an over-speed occurs, the propeller blade angle is too low and must be increased, slowing the propeller to 1020 RPM. The governor porting hydraulic fluid pressure to the dome senses the propeller speed, and then blade angle is hydro-mechanically varied through the dome. The dome uses a double-acting piston where hydraulic pressure supplied from the governor ports pressure to either the forward side or rear side of the dome piston. When the governor ports hydraulic pressure to the forward side of the dome, blade angle is increased through a rotating cam splined into the blade segment gears. The opposite happens when the governor supplies fluid to the rear side of the dome piston, thus decreasing blade angle. This variation of blade angle, through the governor and dome, is critical to the safe operation of the 54H60 prop system. For the propeller to remain at a constant speed of 1020 RPM, both of these units must be rigged and adjusted properly. Without the synchronization of the governor and dome working together to vary blade angle, the pitch would constantly be shifting thus slowing or speeding up the aircraft in a straight and level situation. The governor and dome working in tandem allow for this constant RPM to be maintained, without pilot inputs.